This course is an innovative collaboration between USM and SMCC, building bridges between students from Maine and Iceland with a focus on the arts, culture and educational systems of Iceland. Upon completion of the course students will be able to: identify, describe, and analyze the cultural underpinnings of art and education in the North Atlantic; examine and understand the fundamental pillars of both Icelandic and American schools (Literacy, Sustainability, Democracy and Human Rights, Equality, Health and Welfare, and Creativity); and critique and develop global competencies, while directly investigating and applying these new understandings in Iceland. 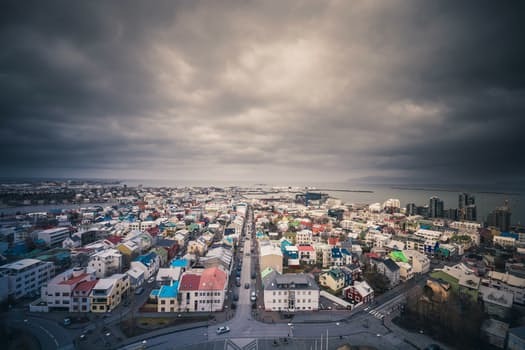 The students will travel to Iceland over Spring Break spending time in Reykjavik, and surroundings areas as we explore the art, culture and educational systems of Iceland. Dr. Kelly Hrenko’s current scholarship is within the field of integrated arts and multimodal creative literacies. She uses her position as a teacher educator in the visual arts as a place where several intersections occur; between art and culture, community and school; and interdisciplinary education. She comes from the Midwest where she worked in public and Native American BIA schools, assisting K-12 teachers as they work to integrate the visual arts and Native cultures across curricula. Dr. Whitney’s current scholarship is within the field of teacher education. She explores student-centered practices and ways to teach and support novice teachers to use such strategies and methods. Her work has long focused on the inclusion of diverse learners, especially those with disabilities in K-12 schools and post-secondary education. Her scholarship documents the use of communities of practice, undergraduate research fellowships, and universal design for learning as mechanisms to create inclusive learning environments, especially in STEM fields. A major emphasis in Dr. Whitney’s work is on collaboration-–both in inclusive learning communities as well as among education professionals. Her teaching focuses on democracy in education; including students with disabilities; curriculum, planning and assessment for K-12 teachers; and research methodology. Jeff Badger has taught in the Fine Arts Department at SMCC since 2006, serving as Department Chair/Co-Chair since 2009. He launched the college’s Global Studies Center in 2016, and designed the college's hybrid study abroad program Global Classroom. He has received fellowships to attend faculty study abroad seminars in Mexico (2013) and China (2016). In addition to his work at SMCC, Jeff was the Study Abroad Advisor at Maine College of Art, and has organized international art exhibitions in Greece, Spain, and Japan. He serves as Vice President of Friends of Aomori, the non-profit that supports the Sister State relationship between Maine and Aomori, Japan. The application deadline has been extended to January 7, 2019. The approximate program fee is $2,500 - 2,800, not including tuition. The cost of tuition and fees at the in-state rate are in addition to the program fee. The program fee includes accommodation, airfare, scheduled in-country travel, a bus pass, two group meals, field trips and international insurance coverage.